Description: A toaster was the first household item Azjurai bought with her fiance. 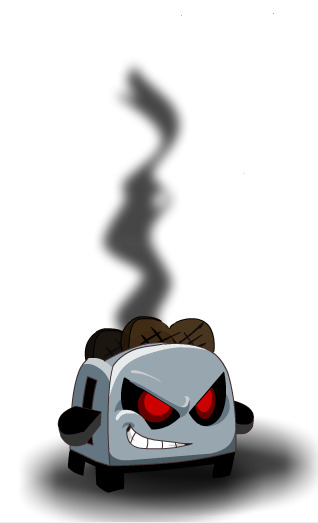 Who knew that it would be possessed by an evil Fire spirit which burnt all the toast?! But together they battled its fierce, fiery will and left unsinged and with full bellies!